Yesterday was my first Little Artists class with a group of 3-5 year-olds. We talked about color and Henri Matisse. We looked how different artists used colors, talked about our favorite ones, played color scavenger hunt, read books… and created a fish. 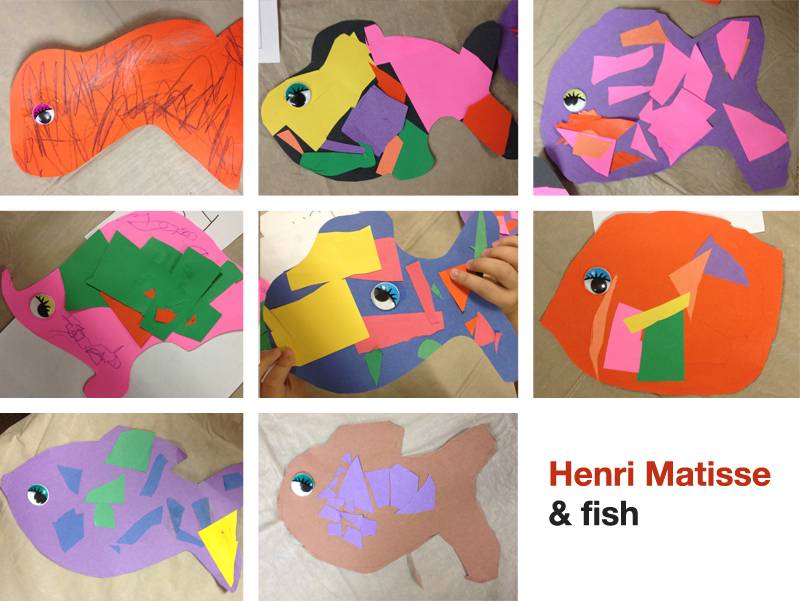 Each child started by drawing a fish on a colored paper. Then they cut out whatever shapes they wanted out of as many colored papers as they wanted to… and glued them onto the fish. Once they were done, they added the eye and cut it out. What do you think? 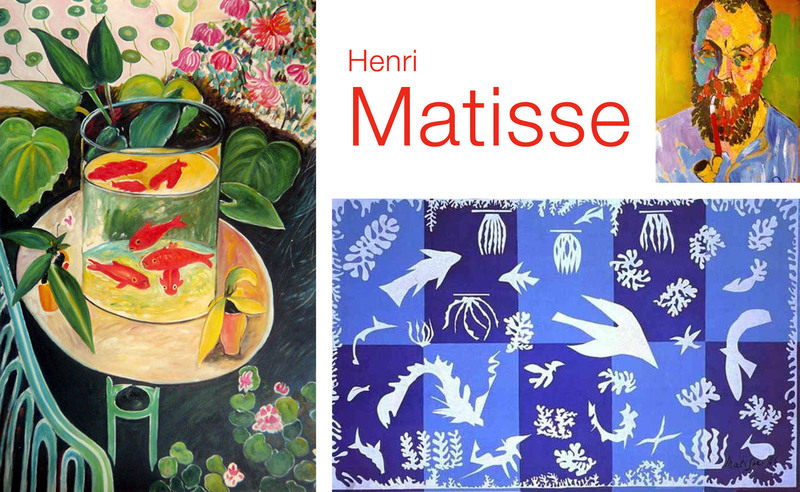 There are more ideas for Matisse, color and fish on our Pinterest board. This entry was posted in Art Projects and tagged art, ArTree, collage, color, craft, fish, kids, magazine, matisse, preschool. Bookmark the permalink.